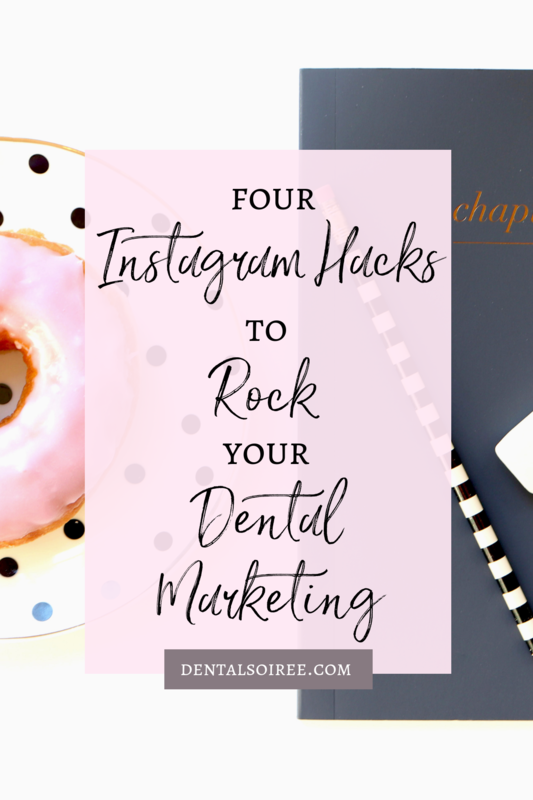 All of our favorite Instagram tips for dentists in one place. 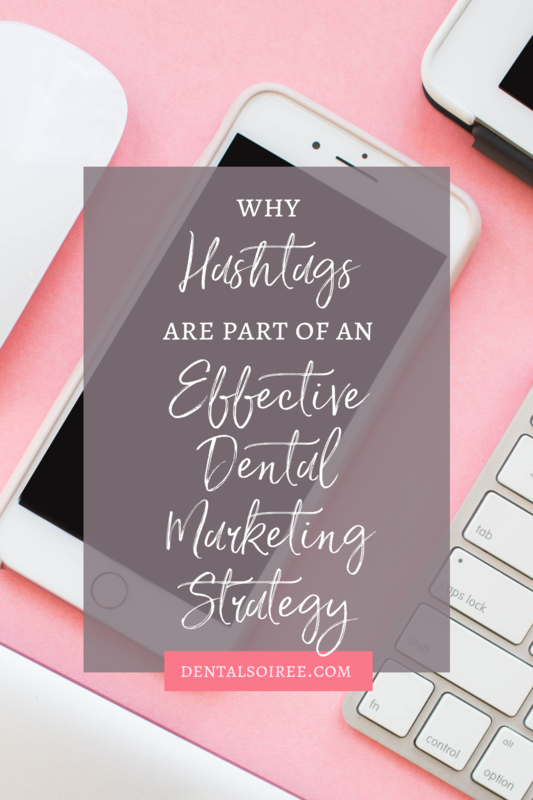 Whether you’re a social media maven (like the team here at Dental Soiree) or you’re just getting started on your dental marketing strategy, you probably know hashtags are those few words preceded by the pound sign (#). But if you’re not that familiar with them, it may seem confusing and you may not want to use them. After all, what do they actually do? Well, the answer is they do A LOT! They are a great way to find like-minded people online, and on many platforms, it’s one of the only ways you have to grow your following. The hard part isn’t how to use them. We could teach that in a minute or two (and there’s plenty of resources out there already on this topic). 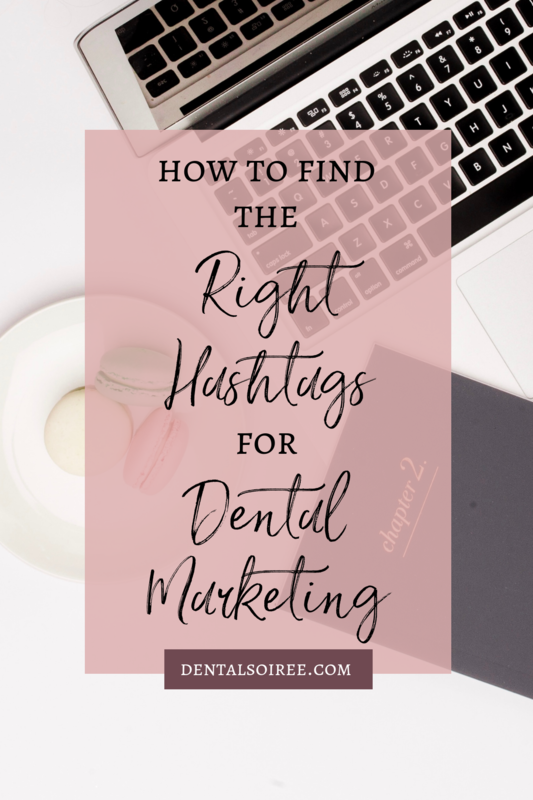 We want to help you find the RIGHT hashtags for your dental marketing strategy because that’s 99% of the battle right there. The easiest way to find new hashtags is just to search right in the Instagram app. You can see what hashtags other people in your industry are using and if you tap on a hashtag, Instagram will tell you how many times it’s being used. You don’t want to use too many hashtags that are under 10,000 uses, but you also don’t want to use hashtags that are all in the millions because your post will easily get lost in the shuffle. Spend some time tapping on hashtags you like to see how they’re performing and make a list. Once you have a good list to pull from, you can use a hashtag tool (see below) to help you make the most of your research! Yes, there are (many) tools out there that exist specifically to help you find the right hashtags for your posts. 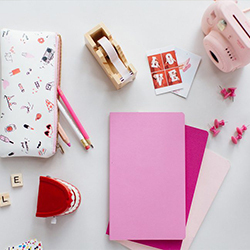 Our favorite right now is called Display Purposes. We love it because it actually filters out any banned or spammy hashtags so you won’t accidentally use them. All you have to do is put in a hashtag or two that you know you want to use in the search bar and it will give you up to 30 hashtags that are related to the one(s) you entered. All you have to do is copy and paste the hashtag list into your posts and you’re good to go! It’s best to do this for every post so you have a unique list of hashtags, but if you repeat a list a few times, that’s okay! At the end of the day, social media is a creative pursuit. If you come up with a clever or witty hashtag, but no one is really using it, who cares? Use it anyway! 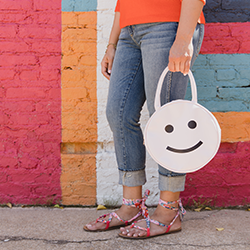 It will show your followers that you are a creative person with a sense of humor and playfulness. It will make you more human and relatable and that’s what we’re all striving for on social media, anyway! Likewise, if you come up with a good hashtag that includes your name or your branding, use that and try to use it on every post, too. It’s a great way to make yourself and your posts more searchable since when someone clicks on that hashtag, they’ll easily be able to see more of your great content. Have questions about hashtags? We can help! We made a course all about Instagram (including an entire section on hashtags) over at The Soiree Suite! This is our little digital classroom where we teach everything we know about marketing and social media. You can check it out here! Chances are, you’ve heard some of the recent buzz around Instagram’s new video feature called IGTV. You can now create long-form, vertical video and upload it for your Instagram followers to watch right inside the app, or in the newly launched IGTV app. It’s easy to have a “wait and see” mentality when it comes to new marketing platforms or social media features. However, the people that get the most benefit from a feature are often the early adapters. 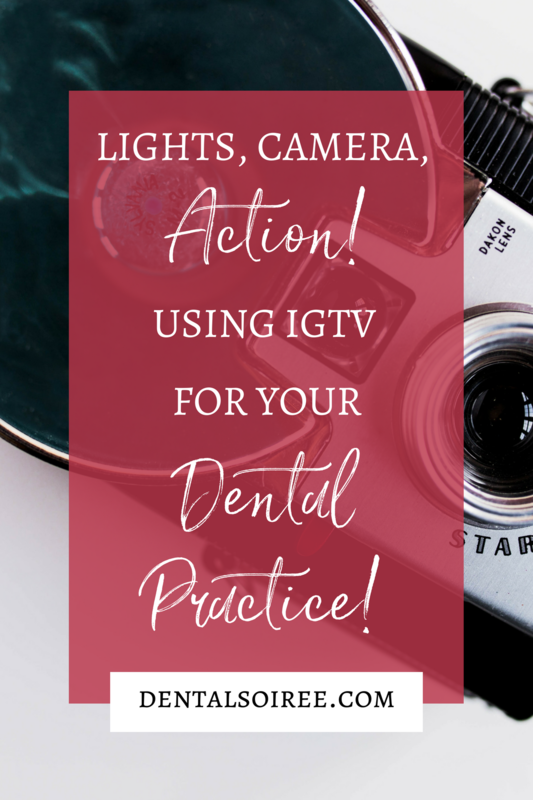 I want to make it super easy for you to jump aboard the IGTV wagon and use it to market your dental practice… and I want to make sure it doesn’t take up too much of your time! I know how busy you are right now and the last thing I want to do is overwhelm you with one more thing you have to do. IGTV is a lot like YouTube, except rather than being a standalone platform, it’s integrated into Instagram. This is great because you already have an audience on Instagram; you don’t have to start from zero and build followers all over again. IGTV is also different from YouTube because the videos are streamed vertically rather than horizontally. For some people, this is a big deal but it makes sense that they did it this way. It feels more intimate, and it is consistent with how their Stories feature works. Videos uploaded to IGTV can be anywhere from a minute or two all the way up to an hour long. To access IGTV from the Instagram app, you can tap on the little television icon in the upper right corner. Videos from people you already follow on Instagram will automatically start playing, or you can switch between the For You, Following, Popular, and Continue Watching categories to find other IGTV videos you might like. Being able to watch fun videos on Instagram is great, but ultimately, this tool was built for content creation. 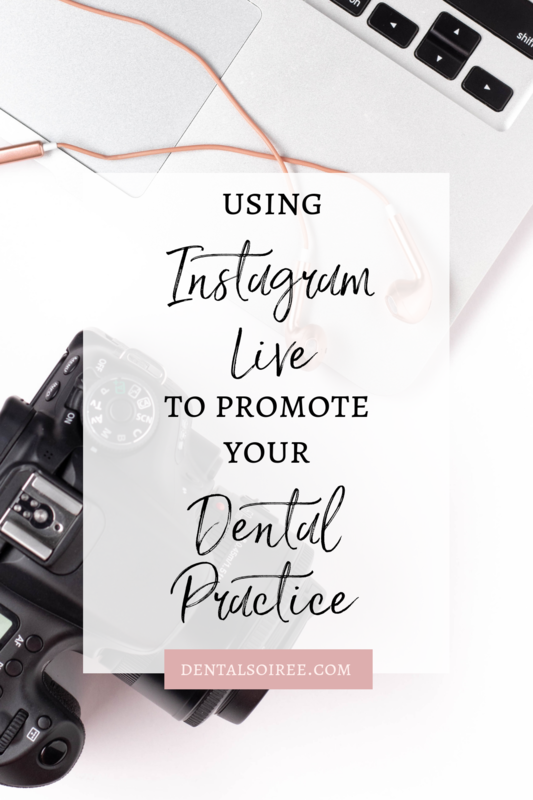 If you post content on Instagram with the goal to find new patients for your practice, IGTV is definitely something you should consider adding to your marketing plan! 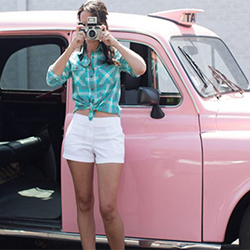 It’s super easy to get started, especially since there’s a good chance you’re already on Instagram. You can use your smartphone to shoot videos, and there’s very little editing that needs to happen, unlike YouTube. 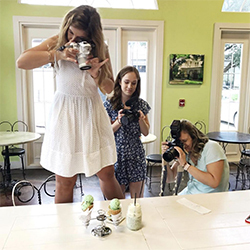 While it can be intimidating to get in front of the camera and try something new, if you want to keep growing, you have to hang out where your dream patients are hanging out. Consider sitting down to film a video this week and see what happens! 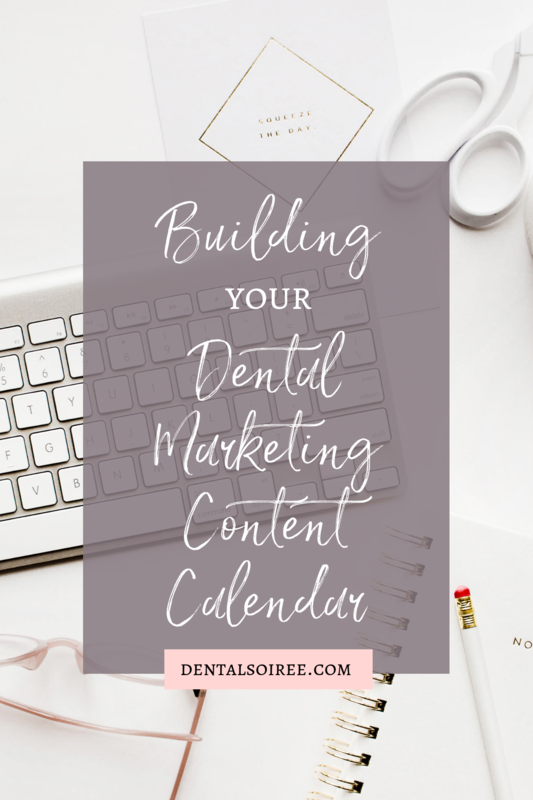 While you may not get the views you’re hoping for right out of the gate, you’ll probably realize it’s easier than you thought and hopefully, you’ll make it part of your consistent marketing strategy. When you’re consistent, you’ll start to see your numbers go up quickly. That’s pretty much the case with any platform. We’re running an IGTV challenge this week and I hope you’ll join in on the fun! We’re going to have a great time learning our way around the platform together and sharing our success. Be sure to watch our Instagram page for details on the challenge!